Tears streamed down my face as quartered onions found their rest in the container of my food processor. I clicked the lid in place and pulsed them into smithereens, contemplating the incinerating quality of the salsa I was preparing to amend. Suddenly, a memory flashed like an explosion in my brain. I saw myself, strolling through the greenhouses and flatbed trailers full of baby plants at the local nursery, earlier that spring. Carefully selected tomato seedlings sat happily in the wagon I pulled. As the girls played in the sand by the greenhouses, I read the tags on the pepper plants that stood, waiting to be adopted. A healthy looking group caught my eye, and I read the “resume” on the tag. “Jalapeno with new and improved heat,” it boasted. Having had experience once with Jalapeno peppers that were too mild for our taste, I was delighted to think of the possibilities. I added two packs of sturdy little plants to the wagon, content with my discovery. With that memory in hand, I scraped the onions into the salsa kettle and deduced that the peppers in my garden were probably not what they appeared to be. The dry, tongue scorching, throat scalding heat they added to the season’s first batch of salsa was reminiscent of their fiery cousin, the Habanero pepper. Is it possible the plant breeders crossed the two in order to gain a new-improved heat index? 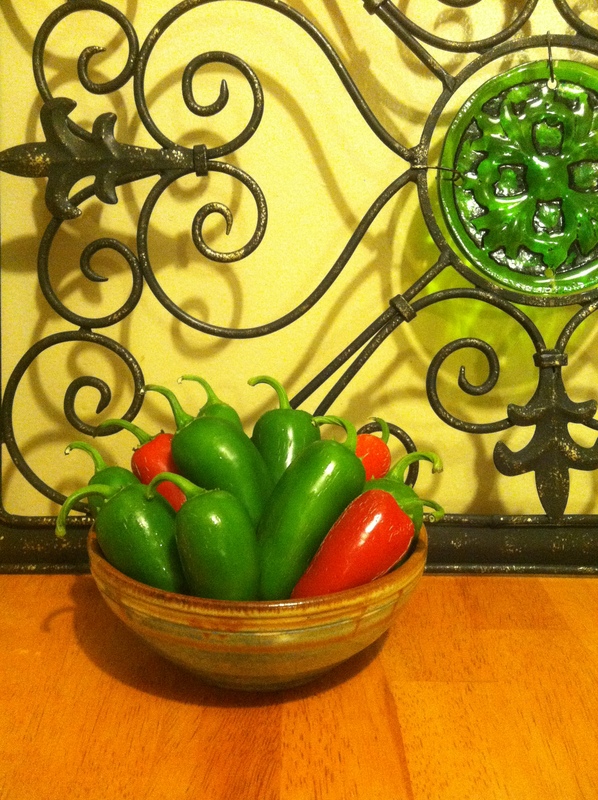 Although my peppers did not have a Habanero-looking exterior, the heat factor hinted of their true nature. A trip to the local produce stand the next day and a talk with the knowledgeable owner confirmed my suspicions. “It is very likely,” he said,”that they crossed the two for more heat.” A union, resulting in a pepper that looks like a Jalapeno, but packs the punch of a Habanero. Wilbur Scoville, an American pharmacist, invented a method in 1912 to measure the spicy heat of chilli peppers. The resulting Scoville scale has been widely used ever since then. According to that heat spectrum, Jalapeno peppers rank between 2,500 – 5,000; while Habanero peppers claim a range of 100,000 – 350,000. Quite a difference! It took an additional 60 plus ounces of salsa (minus the peppers) to modify the first batch. Amazingly, the mixture still had to be labeled x-hot. The jars of bottled flame stand, beautifully canned, on my pantry shelf. They wait, like unlit firecrackers, ready to explode away the winter chill for my husband, who is the only one in the house man enough to partake. Making salsa and bread are two of my favorite kitchen endeavors. The unique challenges each present intrigue me. The work from my hands please those I love and the lessons I’ve learned from making bread and concocting salsa resonate with life. This experience begs me ask a question: What is your level of intensity on the Faith Scale? Is it so mild that people in your life remain unchanged by your presence? Or, is the intensity level such that people are inspired, encouraged and convinced that they want to reach for the same kind of relationship that you have with Jesus? Does the fire within burn so brightly that trials, challenges and grief cannot extinguish the light? Does what’s on the outside clearly reflect what is on the inside? People are sometimes not what they seem to be, but a true fire for the Lord burns and shines unmistakably. If your fire for the Lord and His work has diminished, pray for renewed combustion. Ask Him to breathe life into your fire circle, so that the flames produced draw others into His circle of light.